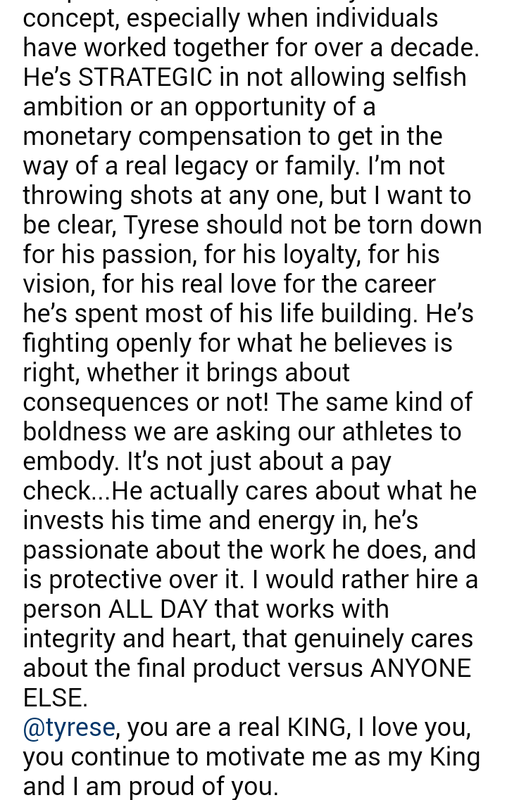 Tyrese Gibson's wife, Samantha Lee Gibson came to her husband's defense after he shared a fake Forbes cover featuring himself and people attacked him for it. Samantha said her husband was working based on faith and since his vision is to one day be on the cover of Forbes Magazine, he decided to put up the fake cover to motivate himself. She went on to defend him for publicly calling out his Fast and Furious co-star Dwayne "The Rock" Johnson. 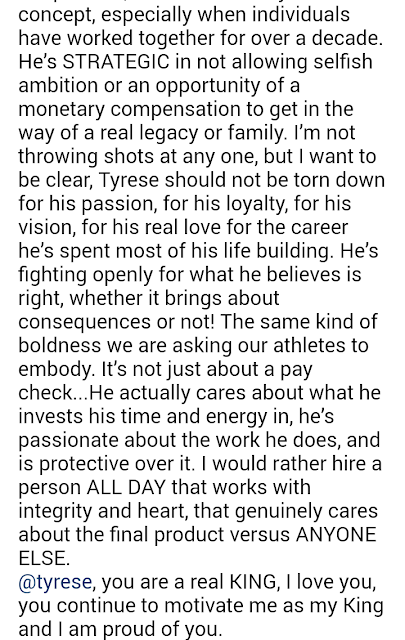 Samatha said family means a lot to Tyrese, especially when individuals have worked together for decades, and he doesn't let selfish ambitions get in the way. Her statement was obviously directed at The Rock, though she said she was not calling anyone out.